Telehealth technologies are being used to serve both community-based seniors and those in residential communities. Here is how providers and their residents and clients are benefiting. Liberty Lutheran, Ambler, PA, had a problem common to many providers: Arranging local after-hours, weekend and holiday physician coverage for residents could be a challenge. The first instinct of many clinicians is to transfer an elderly resident with a worrisome change in medical condition to the hospital. However, such a transfer is often unnecessary if a doctor can intervene early enough. Keeping a resident in familiar surroundings offers quality and financial benefits, especially for communities that participate in accountable care organizations (ACOs). But most importantly, after-hours care designed to keep residents in place is more compassionate for the resident. David Chess, M.D., co-founder and chief medical officer at TripleCare, says that the situation at Liberty Lutheran is common. "So, I asked myself: how do I create an infrastructure to consistently deliver better outcomes?" community in Ambler, PA. Photo courtesy of Liberty Lutheran. His solution eventually morphed into TripleCare, a company that provides physician consults in nursing homes after hours by way of telehealth technology. It is now working with several LeadingAge members to provide after-hours services to keep nursing home residents out of the hospital. The model consists of telemedicine-enabled doctors who examine residents with the assistance of on-site nurses trained to deploy digital diagnostic equipment. All this happens while the residents are in their own beds. The service is activated evenings, weekends and holidays. If an on-site nurse notes a significant change in a resident’s medical condition, they contact their TripleCare provider. Chess says such changes in a patient’s condition can signify a critical transition, especially in cases of chest and abdominal pain. The nurse dials a toll-free number and reaches the on-call doctor in 30 seconds. The nurse uses a specially designed telemedicine machine that both hooks up vital signs and EKG to the resident and displays the doctor on screen via 2-way communication through the internet. Nurses are trained in advance to perform exams, such as abdominal palpitations. The delivery of care is structured individually around each nursing home, with each location staffed by a core group of 4 to 5 carefully vetted physicians. According to Chess, each of their telemedicine visits and assessments takes over an hour. "Our job is to go deep with patients. The doctors get to know the residents because they cover the same facility," says Chess. "They also get to know the staff; we've become the on-the-job trainers for the nurses, as well as for LPNs who don’t have a lot of assessment and physical exam skills." John Barnum, senior vice-president and CFO at Liberty Lutheran, says the system has delivered on all counts. Liberty Lutheran has expanded the program to 2 of its buildings as a solution for both subacute and personal care. The program, he says, has delivered better care and comfort to patients and their families and has helped reduce readmission rates and helped to control pharmacy and ambulance transport costs. Barnum added that the program is a good investment alone just as a quality initiative. He too cited the benefit as a nurse training program and keeping residents out of the hospital, which helped Liberty Lutheran become a preferred provider in local hospital networks. But there are also definite cost savings. 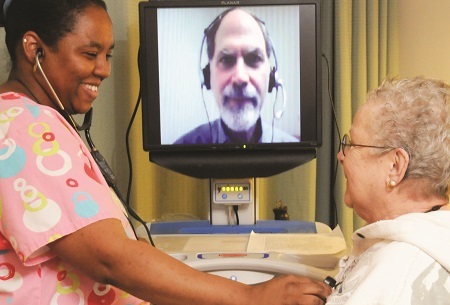 Telemedicine has had several false starts over the past 20 years. This can be attributed to balky technology and clinicians and patients who could not get on board with a virtual visit. But with the rapid evolution of FaceTime and other popular Internet apps, acceptance and growth is accelerating. A recent study conducted by Anthem and published in the Journal of Medical Internet Research found that telemedicine patient care for acute illness management is comparable to in-person doctor examinations—and costs were lower. "We found that diagnostic testing via labs and imaging was used less often during a telehealth episode than in-person episodes, but patients using telehealth had similar rates of follow-up visits as those using in-person care," says Andrea DeVries, senior author of the study and staff vice president of research at HealthCore. The study looked at 11 of the most common telehealth diagnoses. "This suggests that patients’ issues were resolved through telehealth at similar rates to in-person visits. We also found that both the visit itself and the follow-up care from a virtual visit were less expensive for the health plan and patients than visits for similar conditions at other locations of care,” says DeVries. Yet expanded telehealth use still lags. According to a study conducted last fall by the American Telemedicine Association, only 22% of the association’s members have used telemedicine services to replace or complement in-person care. Convenience was cited as the top reason for implementing telehealth. The survey stated that "confusion persists, however, largely on whether their health provider offers telehealth options or telehealth is covered by their insurer." A 2015 study by the Robert Graham Center for Policy Studies, the American Academy of Family Physicians and Anthem found that only about 15% of 1,500 family physicians use telemedicine in their practices. Statistics on insurance coverage for telemedicine services are hard to come by. The evidence is that coverage is still spotty as payers have traditionally been resistant to pay for untested technology that claims to lower costs. Medicare restricts telehealth payments to seniors who live in rural areas. But in the past 10 years, Medicare payments for telehealth have grown from $2.5 million to $17.6 million. And in a proposed 2017 Medicare final rule, CMS has proposed to expand telemedicine services for renal-disease related dialysis, advanced care planning and critical care consultations. The 2016 LeadingAge Ziegler 150 supports the notion that telehealth adoption has been slow. This survey found that both the use of technology for safety and health and wellness monitoring is on an upward growth trend. However, telehealth remote patient monitoring had the largest gain from 2014 to 2015. "We want to bring low-cost, reliable technology in a more rigorous and subtle way to allow people to age in place," says Alan Bugos, head of technology and innovation at Philips Home Monitoring. "Data brought into the back end (through Philips cloud-based HealthSuite digital services, for example) allows for predictive modeling when connected technologies are deployed where people reside." 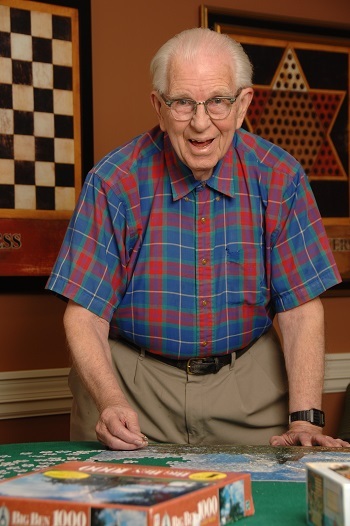 Bugos serves on the LeadingAge Center for Aging Services Technologies (CAST) Commission. To help providers learn more about telehealth options and determine which products that might work for them, CAST has created a Telehealth and RPM [remote patient monitoring] Selection Tool that includes a white paper, a guide to features, a selection tool and a set of case studies. signs, including changes related to CHF or COPD. troubling symptoms. Photo courtesy of Ohio Living. Ohio Living Home Health & Hospice has become an early adopter of such technology-based monitoring. In November, it deployed a chronic heart failure (CHF) and chronic obstructive pulmonary disease (COPD) strategy to reduce hospital readmissions. The organization has worked with 2 ACOs for the past 4 years to reduce readmissions, which is big part of improving outcomes under the Affordable Care Act. Because of Ohio Living’s work on this front, it is the preferred provider for the 2 ACOs. Ohio Living has partnered with Health Recovery Solutions to deploy 10 of the company’s tablets to clients between the ages of 71 and 90, to check vital signs. The tablets can detect changes indicating the onset of CHF or COPD. This data is automatically uploaded to a monitoring program. The residents then answer some basic questions about how they are feeling, if they slept well, or if they used an extra pillow to sleep. The questions are part of an algorithm that alerts staff to troubling symptoms. "I get an alert, say if a patient has a 3-pound weight gain overnight, which indicates they are retaining fluids, and I get a nurse out to see them," says Yvette Valentine, director of office operations at Ohio Living Home Health & Hospice. Valentine says the hard data is a great clarifier for the visiting nurses as they determine the care plan—including the number of visits—for a patient. It takes the guesswork out of the equation. "It's really cool to see our nurses managing the patient better," says Valentine. "The tablet provides just-in-time awareness so that our staff can intervene. It also offers reinforcement to the nurses that they are doing a good job." Wendy Kiser, executive director at Ohio Living Home Health & Hospice, says the organization tried a similar technology approach a few years earlier that did not go as well. That device operation was more complicated and not as user-friendly for the residents as the current tablets. "But the response to the tablets has been extremely positive from both residents and their families," Kiser says. "The residents are not afraid of the technology. They are able to instantly work with it, which was not the case for the previous system." She adds that the organization is currently seeking grant funding to expand the tablet program. - John Mitchell is a writer who lives in Cedaredge, CO.